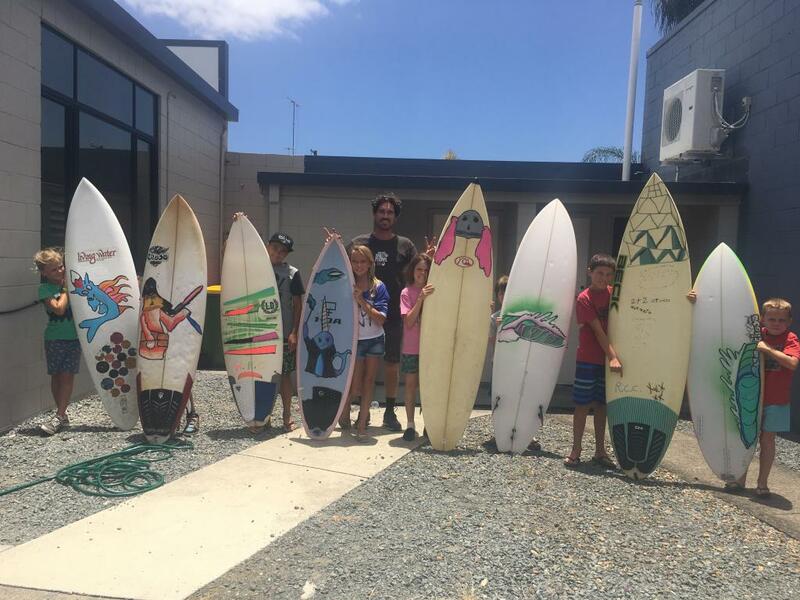 Our January Surfboard Illustration workshop saw a wide range of creative drawing happening as Tristan guided an excited group of groms through the steps to creating their very own board art. 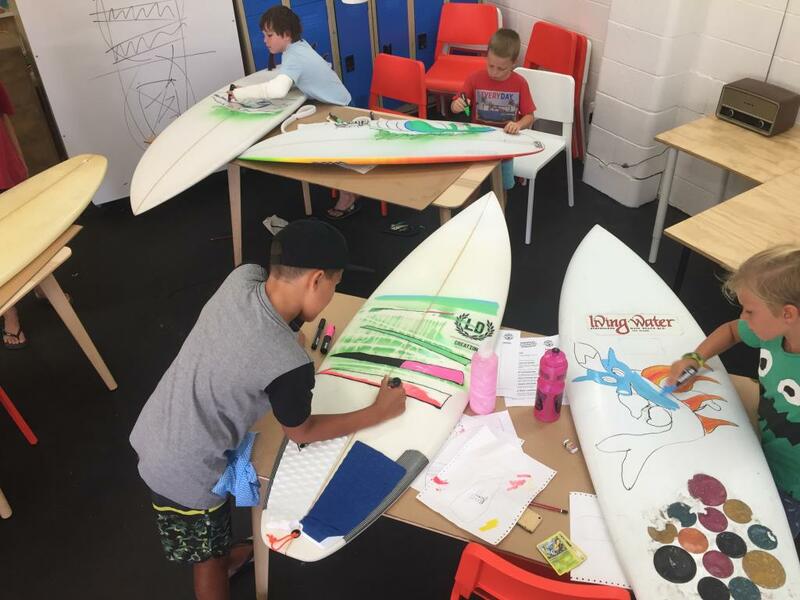 The groms learnt how to clean their boards ready for the artwork, how to use posca pens, different techniques with spray paint and how to spray the board on completion to make it surfable and protect the art. Everyone produced fantastic, personalised artwork. Just wanted to let you know that the boys had a great time and I love what you guys have taught them. Look forward to more workshops like it!